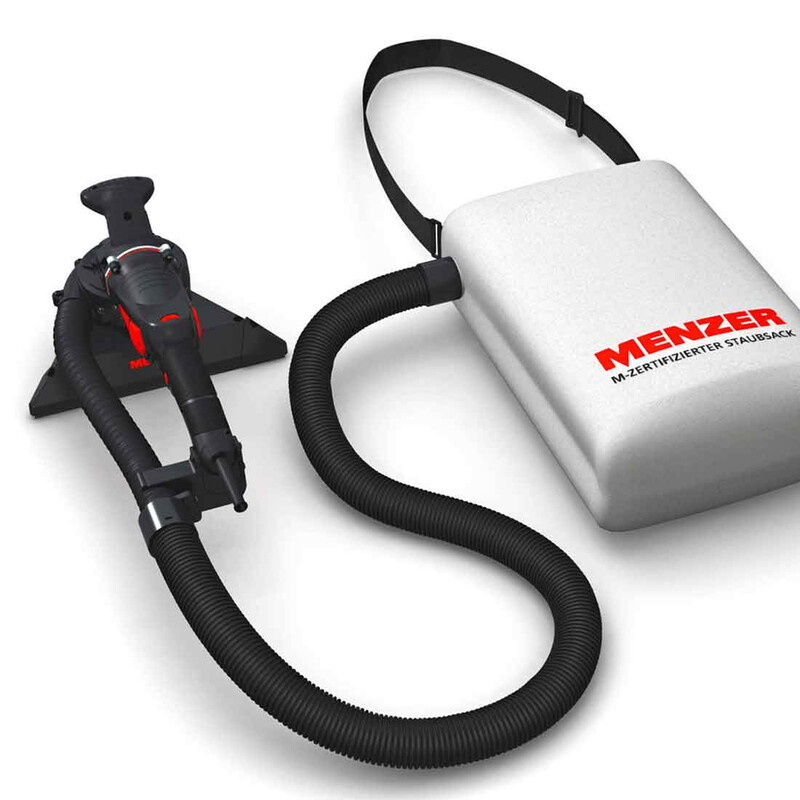 Our MENZER TSW 225 AV is a highly versatile drywall sander with an integrated dust extraction unit for all the difficult jobs in interior work – and in particular for tight spaces. 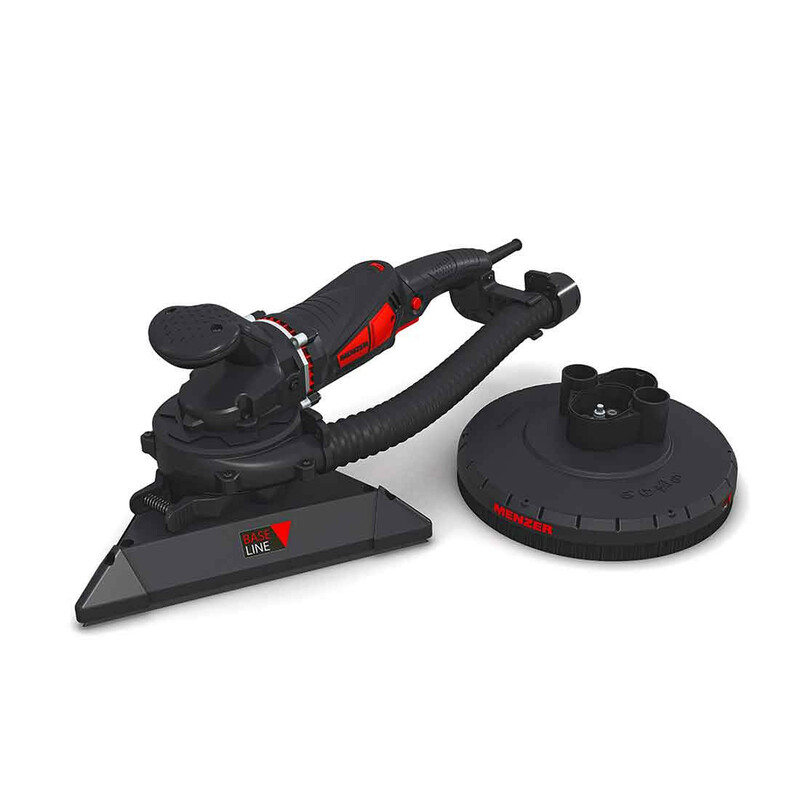 Depending on the task at hand, the TSW 225 AV offer the option to replace the cup wheel. 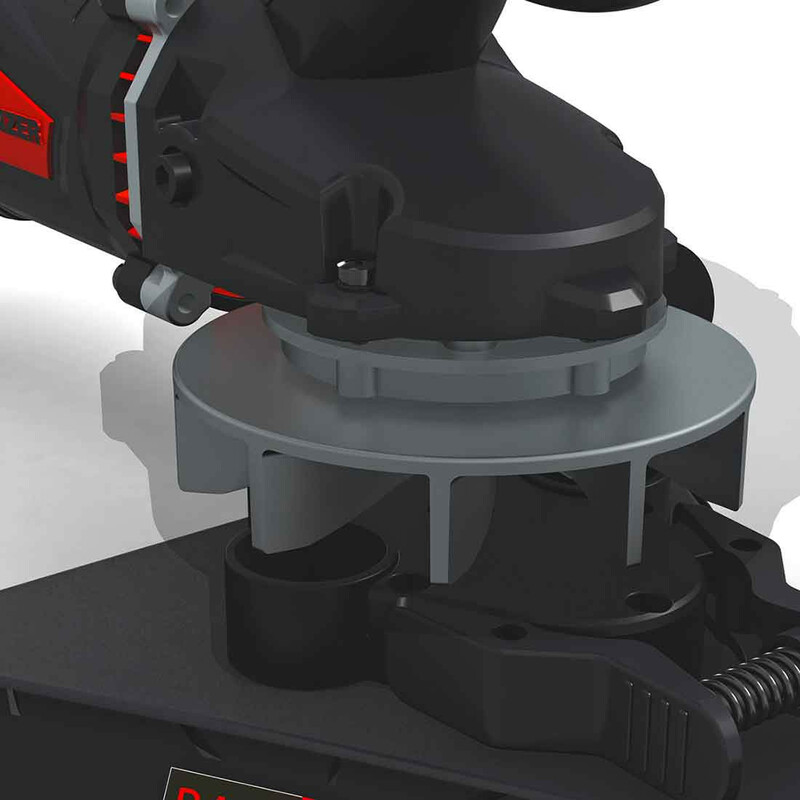 The circular 6-hole driving disc is ideally suited for sanding large areas. 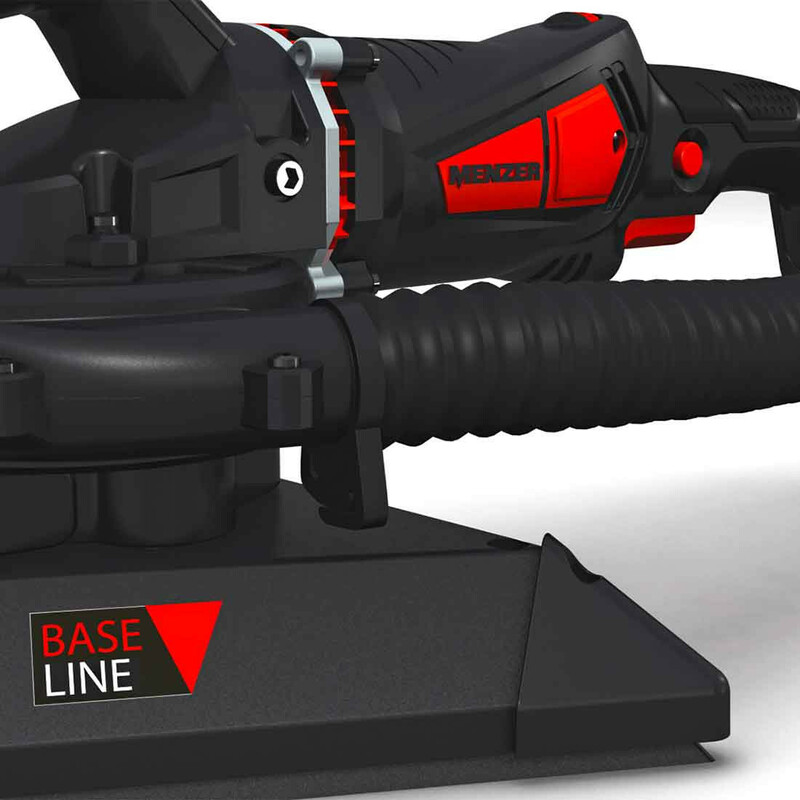 The 12-hole triangular head allows the quick and effective sanding of edges, corners and borders. 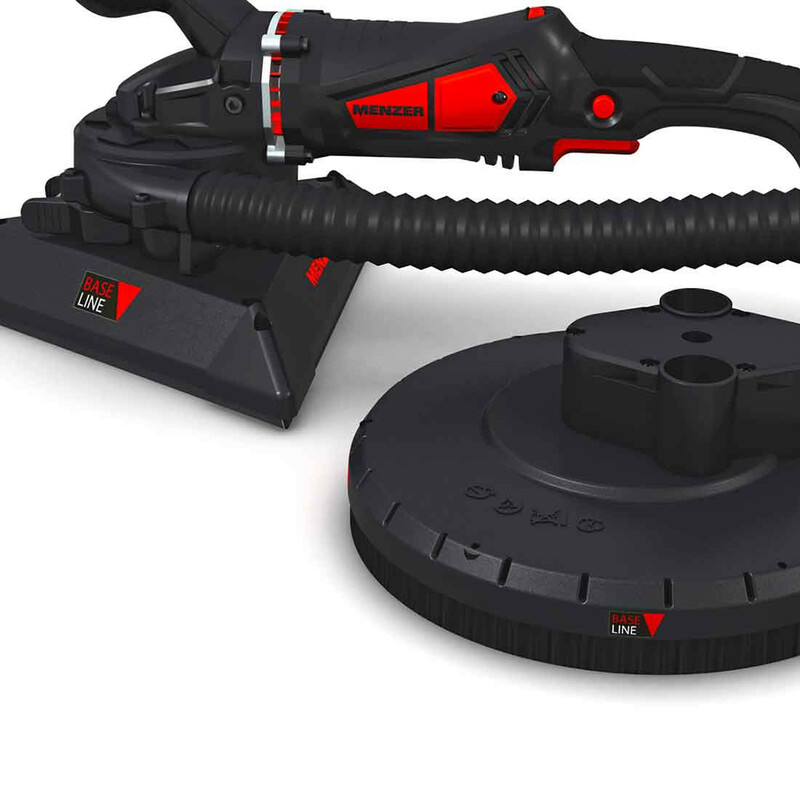 Because of its intelligent AV technology, this drywall sander can be used without an additional industrial vacuum cleaner. A powerful turbine inside the TSW 225 AV blows the sanding dust directly into the supplied extraction kit. 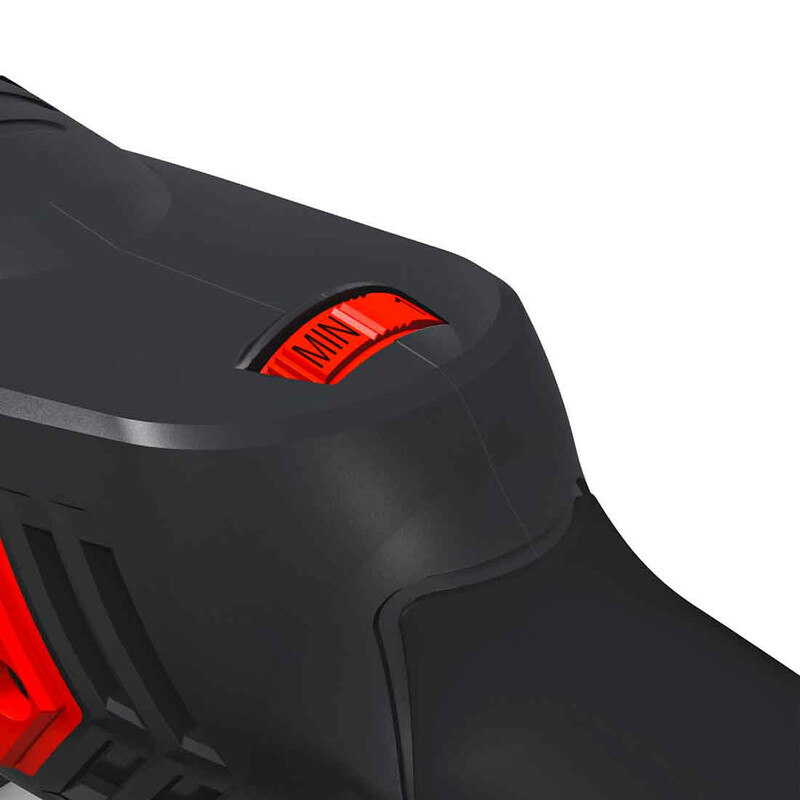 The extractor kit consists of an inner and an outer bag and a practical shoulder strap makes the whole machine comfortably mobile. 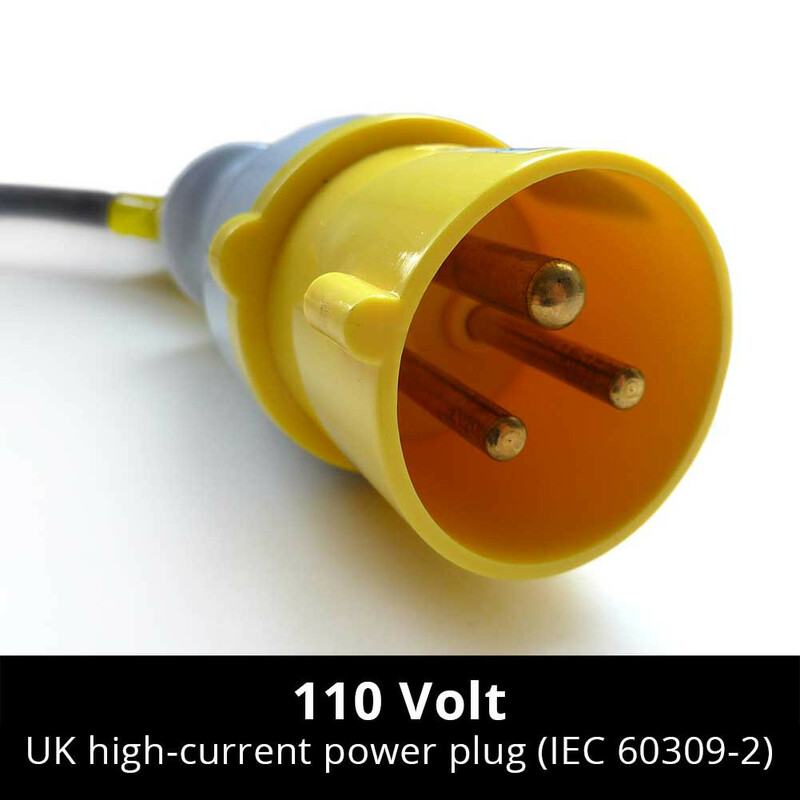 The extraction kit is M-certified, which means it extracts very fine dust particles that could be potentially a health hazard and ensures maximised freedom from dust pollution. 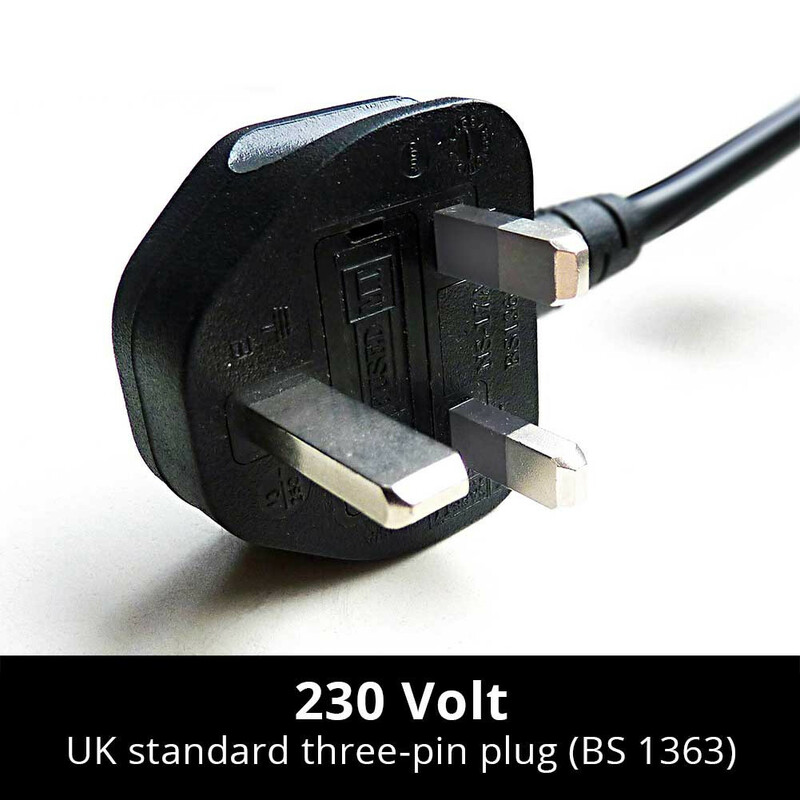 The TSW 225 AV has a total weight of just 3.2 kg. Its steplessly adjustable 710 W motor delivers all the power you need for standard drywalling jobs. 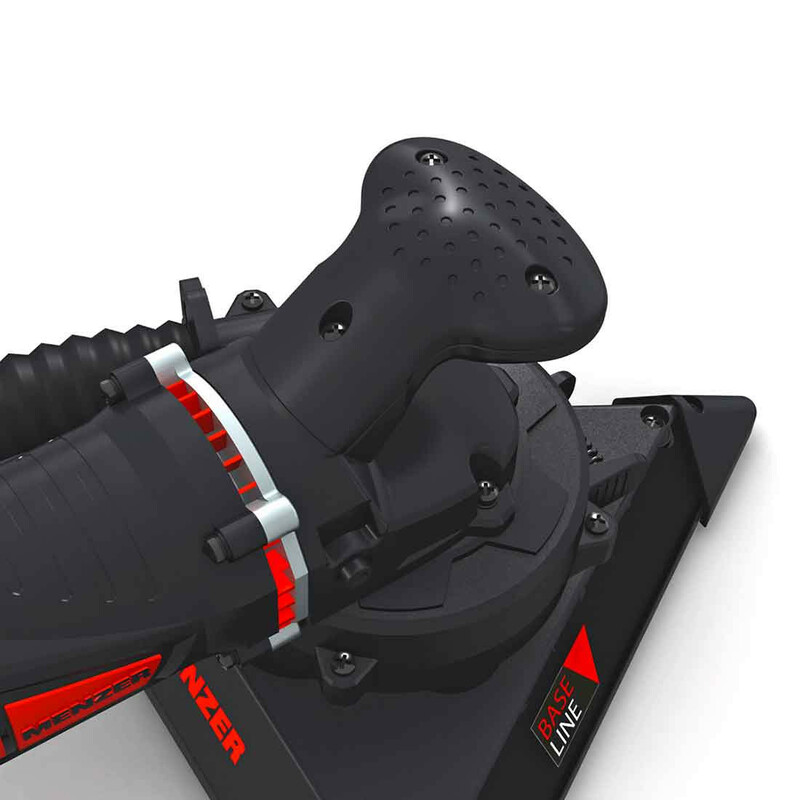 Its ergonomic design makes the TSW 225 AV easy to handle – even during continuous operation. 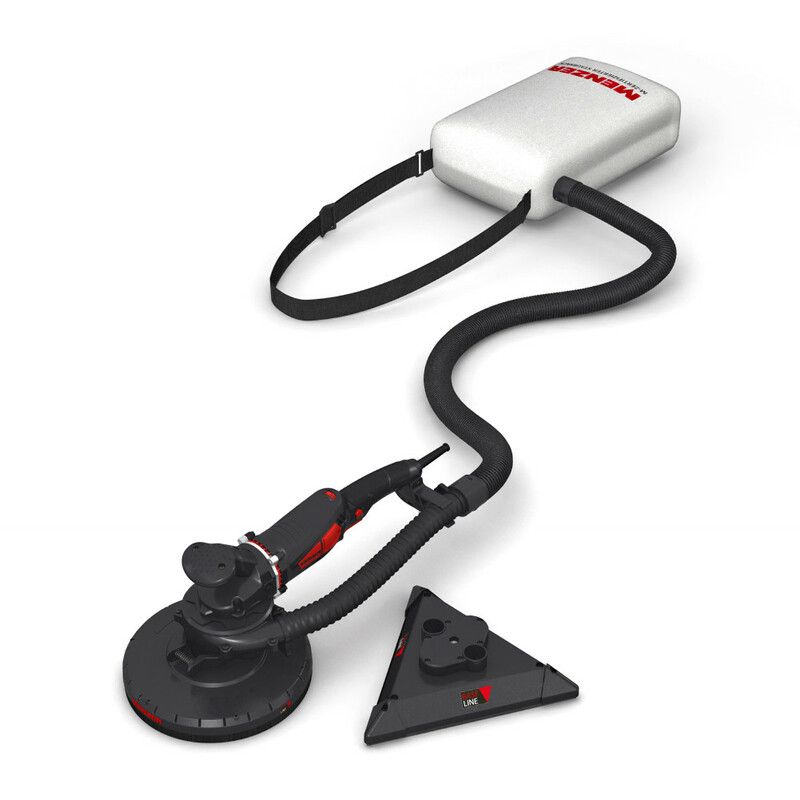 The scope of delivery of this drywall sander includes an extraction kit and removable head. 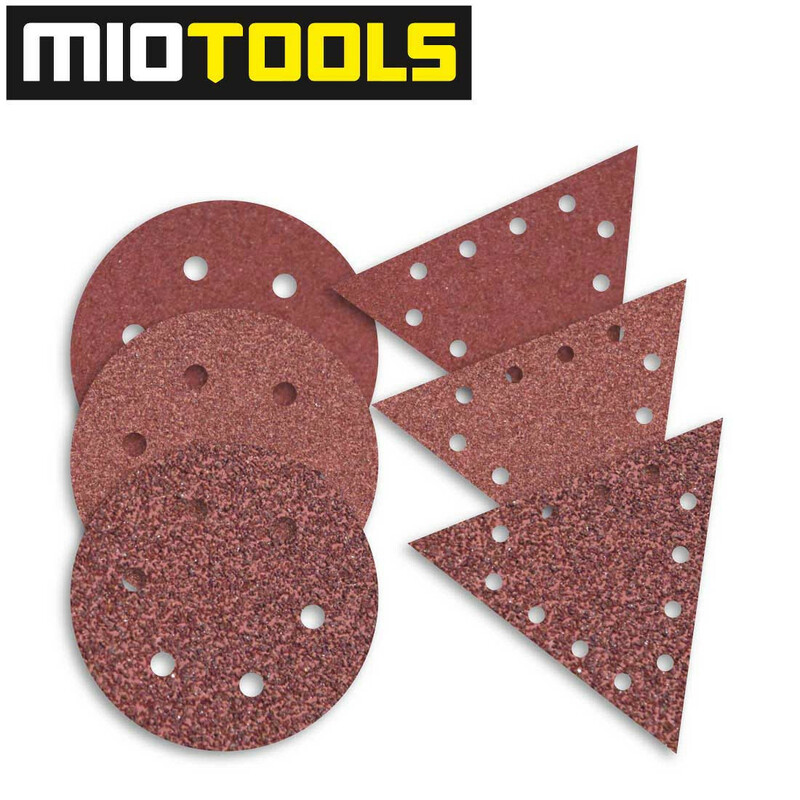 MioTools offers a free abrasives set with every tool purchased, which means you can start sanding right out of the box.